We're a family of story lovers and ever since my boys were babies, I've encouraged them to have a love of books and listening to stories being read to them. Tyler and Beau live for their bedtime stories and bath, book, bed is a lovely little bedtime routine we've had since they were tiny. As well as loving stories being read to them, both boys have a keen interest in books too and as soon as Beau goes missing, you know you'll find him by one of the various bookshelves in our house with a book in hand, studying it thoughtfully. I'm so happy that they have an interest in books and being read and told stories because it's so good for their imaginations, and Tyler especially has a wild imagination, always coming up with his own little scenarios, characters and plots. 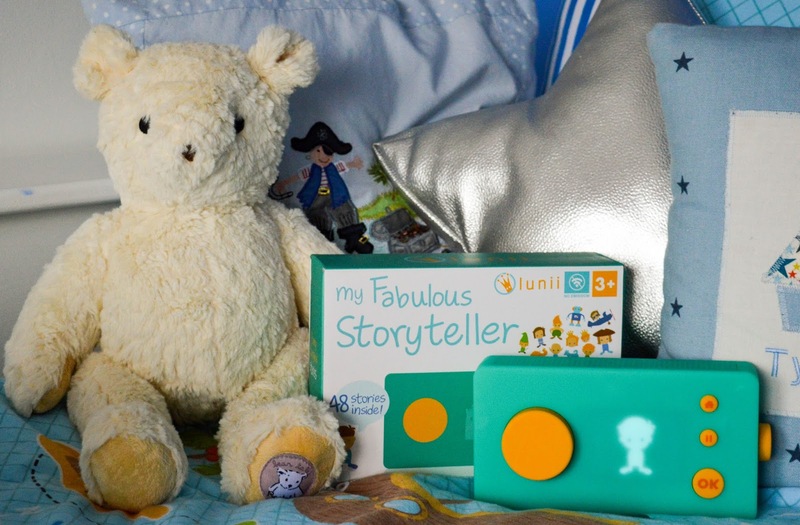 We we recently sent a wonderful product which is just perfect for nurturing little ones imaginations and giving them entertainment too - My Fabulous Storyteller by Lunii. 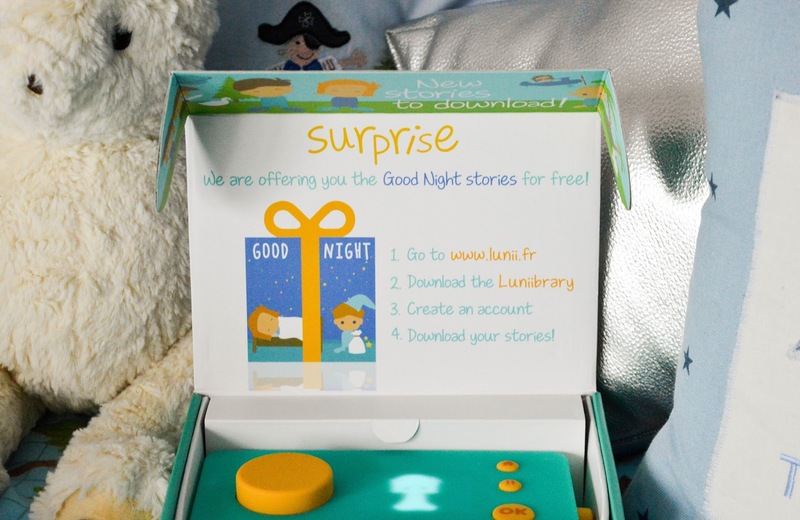 Lunii are a French company who have recently launched within the U.K.
My Fabulous Storyteller is such a lovely little device - aqua in colour with yellow buttons which kids can easily manage on their own, it doesn't need to be plugged in (it runs off an internal battery) and it's purpose is to tell stories! 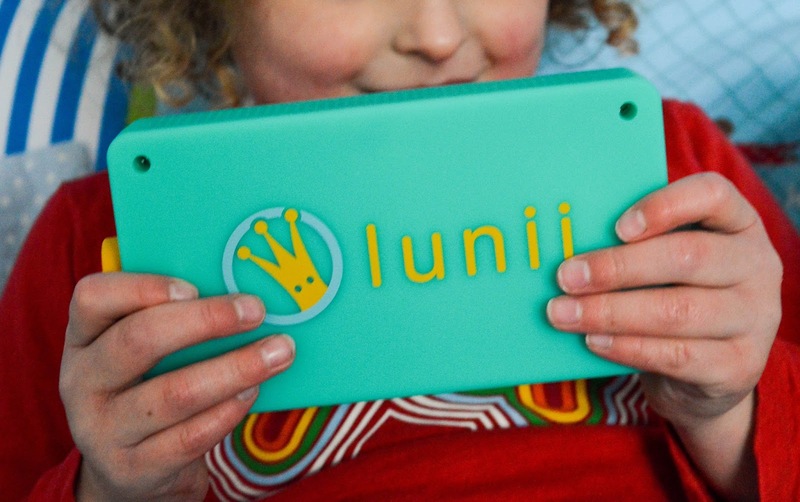 My Fabulous Storyteller by Lunii comes pre-loaded with forty-eight possible stories and the best part is - it allows your child to become the story creator, by allowing them to choose what they want to hear! 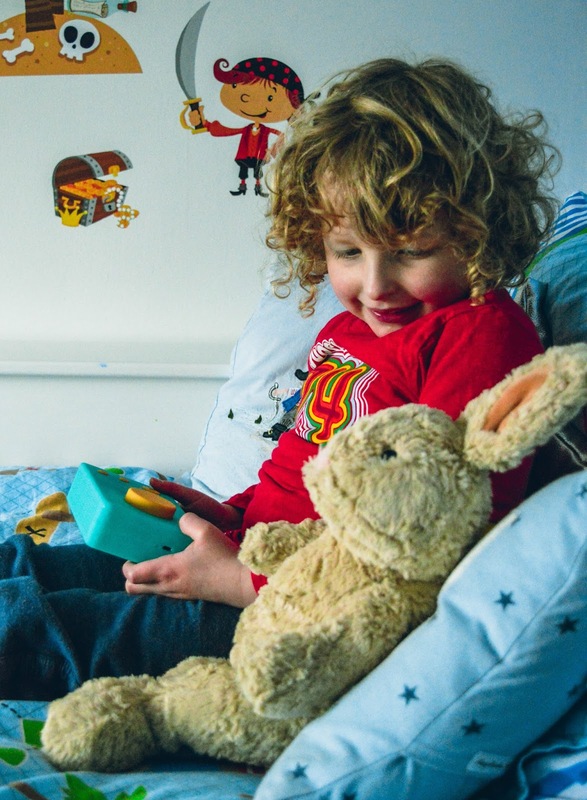 My Fabulous Storyteller allows your child to pick the main character, location, a secondary character and an object which they'd like included within the story. 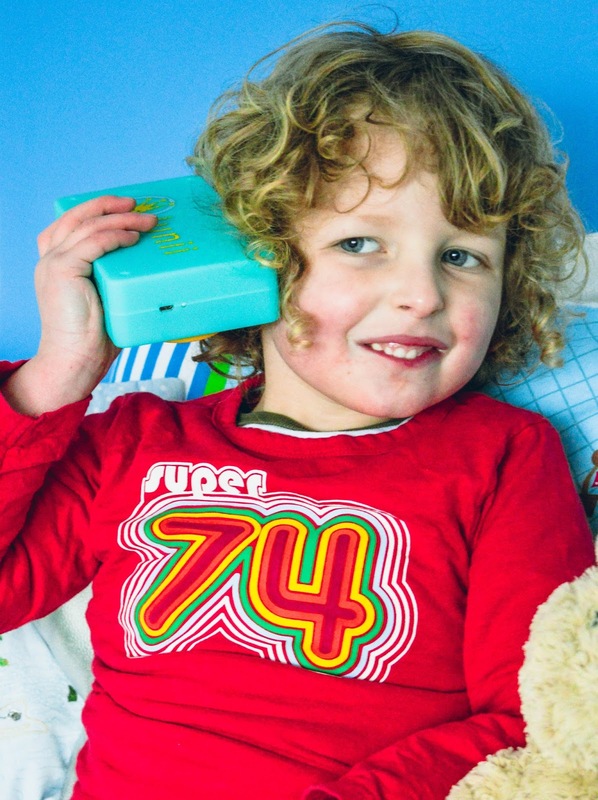 The stories last between three to eight minutes and at the end of each one My Fabulous Storyteller will prompt your child by asking if they'd like to create another story. The stories Tyler has listened to center around the characters Ben and Suzanne. He is then able to choose a location for the story to take place - a castle, a forest, by the sea, at home, etc., a person for Ben or Suzanne to meet - a pirate, a witch, a fairy, Santa Claus, etc. and an object to appear in the story - a tap, a bonnet, a book, a key ring, etc. 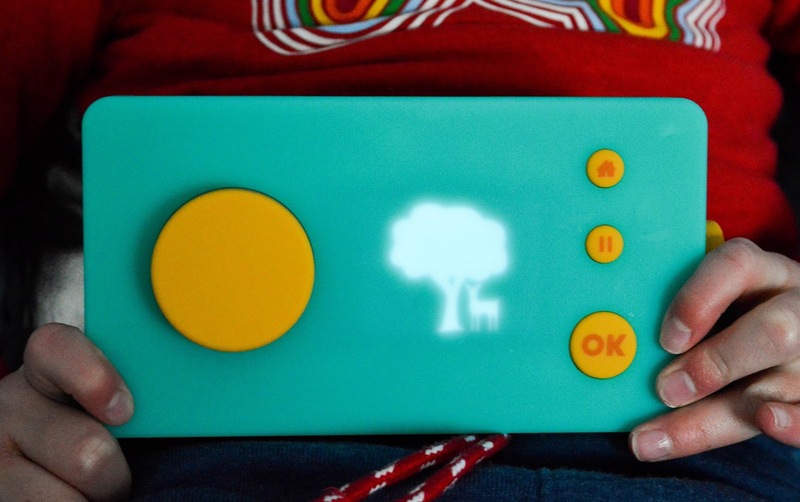 It's a great little device and I love the fact that it allows children to work it on it's own without the need for much parental involvement. 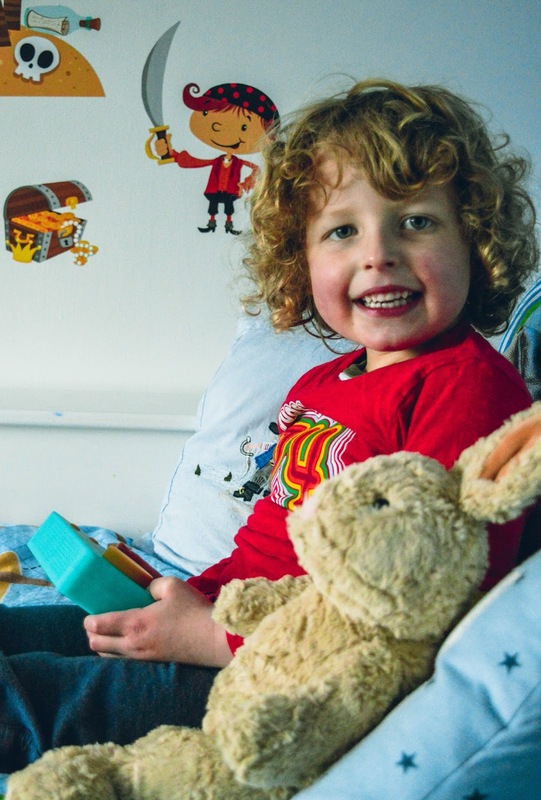 It's the perfect aid at bedtime for children like Tyler who like to look at books or hear some stories on their own before they fall asleep. I will always read him one or two bedtime stories, but it's nice that he always has the option to listen to more if he so wishes with the help of My Fabulous Storyteller. My Fabulous Storyteller also comes with the option for parents to download further story packs, if their kids would like some new story options to create and listen to. I think My Fabulous Storyteller is aptly named because it really is fabulous! In this day and age it's great to see something aimed at entertaining children that doesn't involve a screen or a wifi connection. I love that it's taking children back to a time when storytelling was the best form of entertainment you could possibly get and allowing them to get involved by being the story creator and enhancing their imaginations. I also love the fact that the device is portable and can be taken in the car, on transport when traveling and just easily moved about without the use for wires and an internet connection. My Fabulous Storyteller is aimed at children 3+, but Beau has also enjoyed listening to the stories whilst sitting next to his big brother. I highly recommend this product to other parents who are keen to enhance and nurture their children's imaginations, give them a break from screen time and let them play and enjoy a more traditional form of entertainment. My Fabulous Storyteller is €59.90 and is available to purchase from the Lunii website or Amazon and you can also follow the Lunii Facebook page for regular updates.